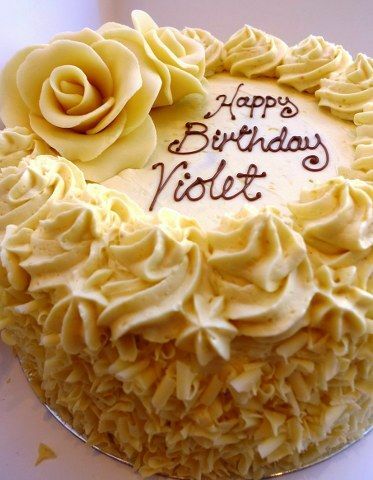 A vanilla sponge smothered a creamy white chocolate ganache, finished with pretty white roses and a personal message. Pictured is the medium with two roses. The small will have one large rose and the large cake will have three roses on. Please do not enter apostrophes in these fields!